Anderson Truss Company Inc. is a leading manufacturer of Roof Trusses, Floor Trusses, I-Joints and LVL Beams. Widely known for producing quality products for over 20 years, Anderson Truss can design and manufacture any type of wooden, roof or floor truss you need. Our knowledgeable and friendly staff will be happy to help make your next project a success. Anderson Truss Company Inc. will do what it takes to meet a customer’s specific needs. With a friendly and professional office staff, you can be sure that your visit to Anderson Truss will be a pleasant one. Our design staff is capable and willing to help customers with projects from start to finish. 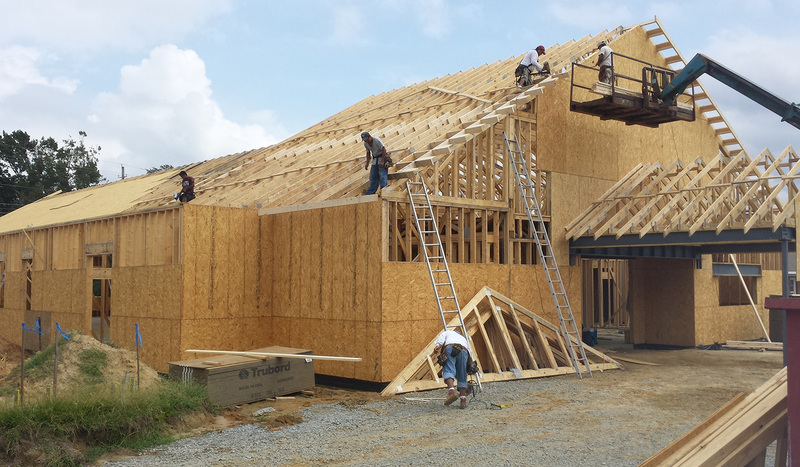 Whether you need common trusses, a house package, a large multi-family or trusses for a commercial job, we can handle it. 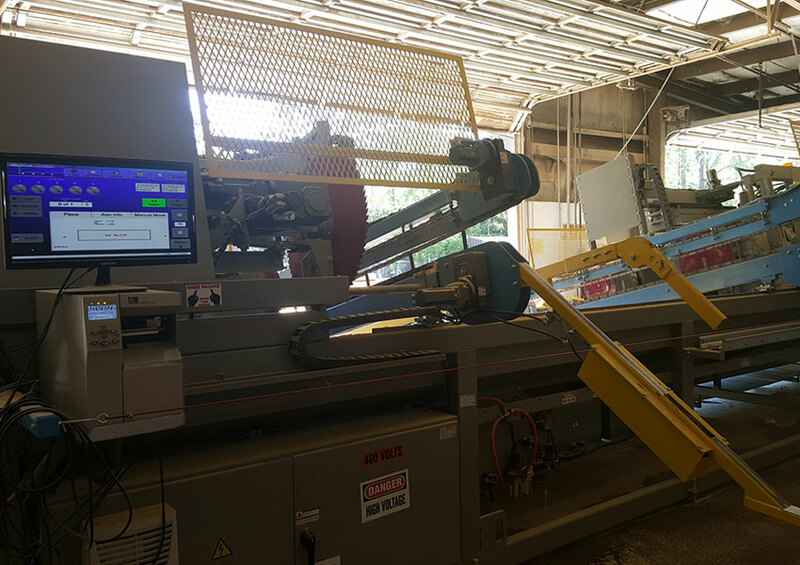 The Alpine Auto Mill HP is the newest addition to our equipment line. After shopping all available component saws, it was obvious that the Auto Mill was the fastest, most accurate saw on the market. 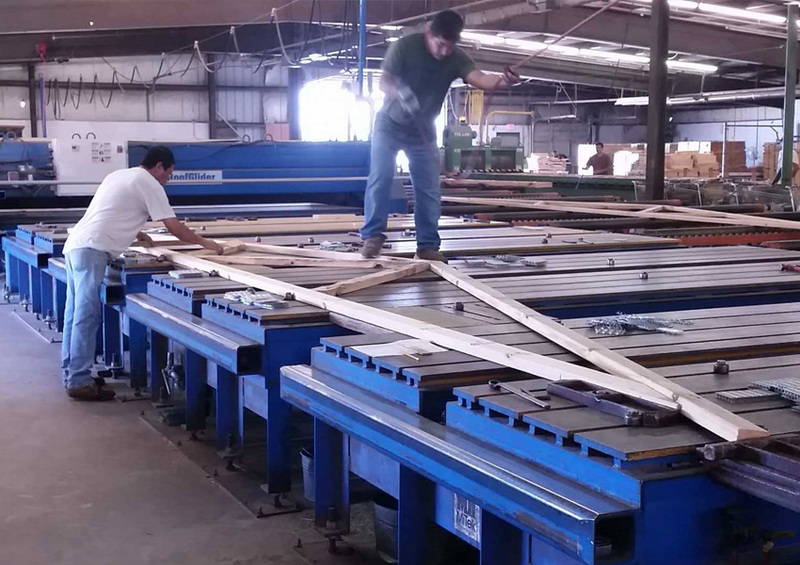 Added in 2011, our ALS specializes in optimizing lumber usage and produces smaller pieces with ease. The best trusses start with a good foundation. The rugged reliability of our MiTek Truss Tables helps accomplish this. 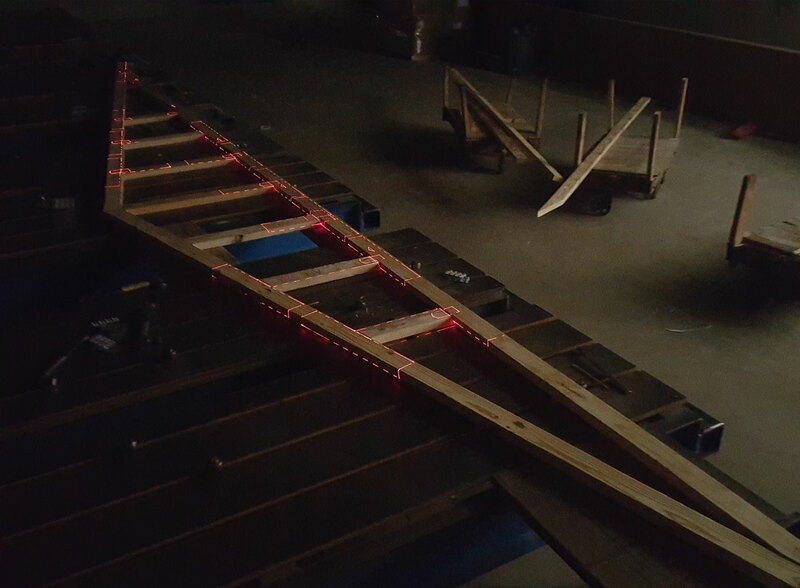 To complement our MiTek Truss Tables, VirTek lasers will ensure accurate jig positioning. Without this system, complicated truss profiles would be difficult to produce efficiently and accurately. Anderson Truss Company Inc. began in 1995, as a one man operation headed by an ambitious 23 year old. With a small loan from the owners, he was in business. Slowly; with much hard work, the business grew. By 1998, the original 6000 Sq. Ft. building was too small. The 30,000 Sq. Ft. building we moved into has been expanded four times, including lumber shelters, to over 41,000 Sq. 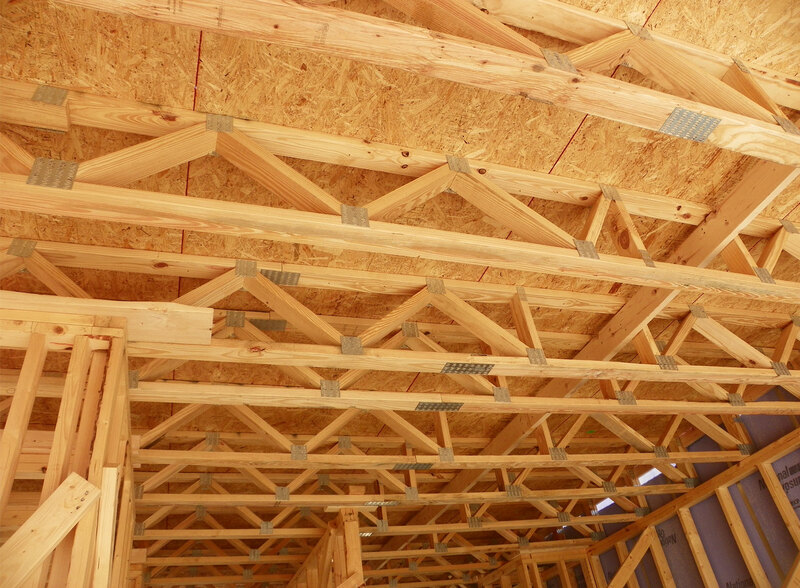 Ft.
By 2001 customers had started to realize what was possible with wood trusses and things were changing fast. Gone were the days of stacks of common trusses. Equipment changes were needed and our first robotic saw was installed. As truss profiles became more complicated, we decided automation was the answer. In 2004 we installed the latest truss building system with laser setup and again in 2006, more new equipment and lasers. 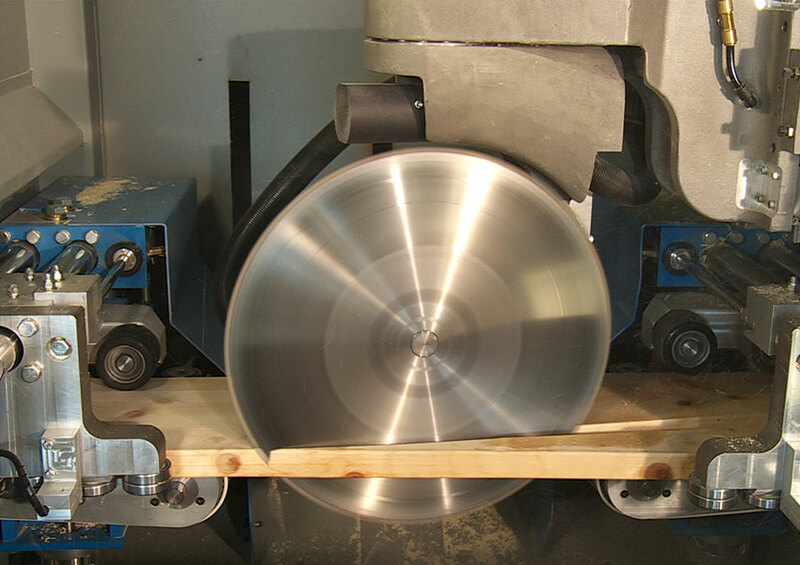 Throughout the recession we continued to expand, with a linear saw, splicing machines and trucks and trailers. Most recently, in 2015, the fastest most accurate component saw on the market was installed.